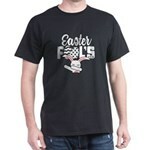 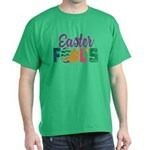 Easter Fools T-Shirt - Has chevron and polka dot Easter eggs and saying Easter Fool's 2018. Perfect for April Fool's Day, spring holiday celebration, egg hunting. The first day of April is wrought with pranks, hoaxes, practical jokes, and other acts of tomfoolery. 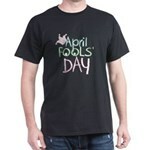 April Fools' Day, also known as All Fools' Day, is celebrated on April 1st around the world. The prankster holiday is most recognized in the United States, United Kingdom, Ireland, Poland, Canada, Brazil, and the Scandinavian countries. The first mention of April first being associated with pranking came in Chaucer's The Canterbury Tales back in 1392. 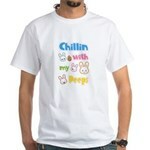 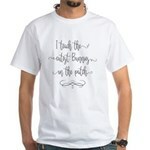 The shirts here have a great mix of joke/funny designs and original designs commemorating April Fools' Day.